Sandra Bullock was spotted wearing her Lululemon Coal Dance Studio Pants and Black Cabin Long Sleeve Tee. Sandra’s son Louis Bardo is too adorable in his little Tilly hat. 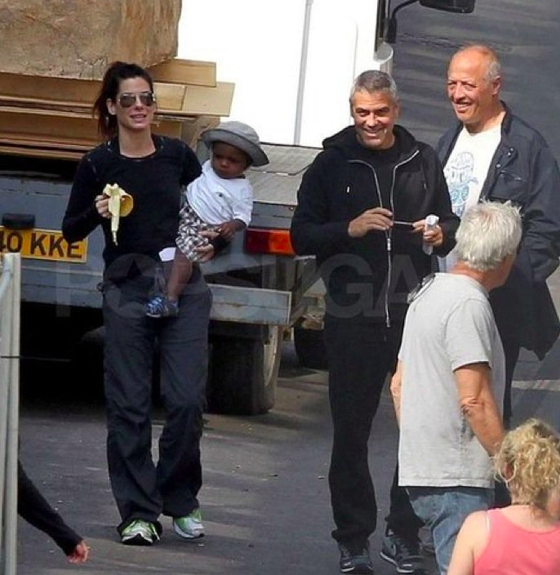 George is not too bad on the eyes of course ;p I wonder what movie Sandra and George are filming together. "**Updated**More Images of Message In A Bottle Manifesto Print"